It feels like a long time since I last got to try out New World, the upcoming survival MMO by Amazon. This is pretty true. I wrote my preview of the game from when I played it at Gamescom last year. In five months, a lot can change. In five months, the land of Eternum (I now know what it’s called!) has changed more dramatically than I could have imagined. Best of all, there are a few concerns I had that have already been answered. In particular, this is the content for more solo-oriented players. I’m the sort of person who likes to avoid the scourge that is human interaction. As such, MMO’s have always been a balancing act. I love a game that I can go out and explore and do things by myself, often things for the ever-immobile NPC’s. On occasion, I’ll work with other people for the greater good. I’ll help carry the load with my superior skills, allowing them to beat a huge enemy or area they otherwise wouldn’t be able to beat. New World doesn’t quite fit this bill, but it does offer a different way to go through the world by yourself. 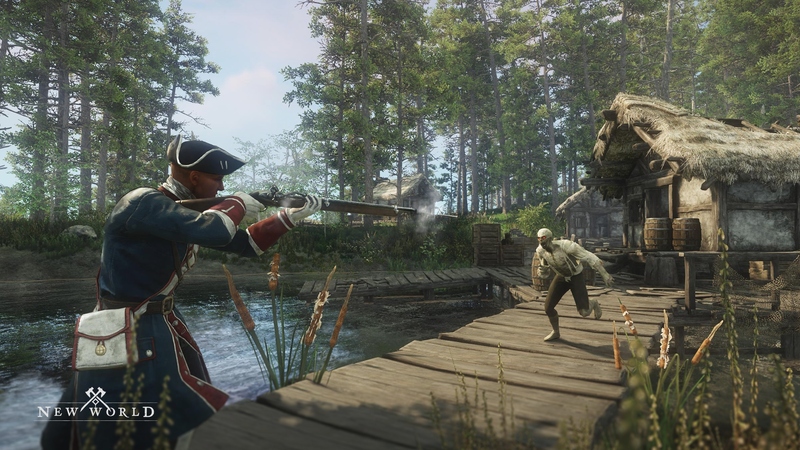 During the presentation prior to playing the game the devs from Amazon were keen to focus on areas where the world has improved, as well as how the game will be more inviting towards those who want more single-player opportunities. 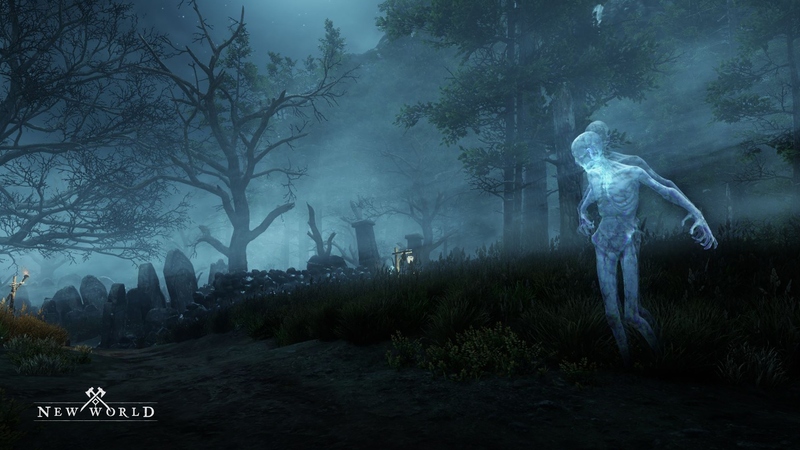 There are landmarks to explore either solo or with other players. You can, though it will be difficult, secure and own your own territory. Chances are you’d be losing it as soon as someone decides to take it. It’s all about emergent storytelling. Amazon wants you to live your life in this new world that is New World. You choose your own path, work with other people to match the areas you have mastered. You may be a master builder, somebody will undoubtedly need your services if they control some land and build up. If you’re a fighter, join them or sell your services. The potential is huge, it’s just meeting it. I got to explore some of this. Much like the first time I played New World, the first part of our gameplay session was more guided. Starting at a very different part of the map, somewhere in the north-east now, all of us were essentially washed up on a beach. We were directed to get started by setting up the camp that all players come with. This camp acts as a portable respawn point, though there are limitations to how often you can respawn at it, so you want to be careful. Then it was time to set forward and make our path in Eternum. In reality, we headed over to a pre-built blacksmith outpost. Amazon is looking for the fine balance between a land completely unoccupied, ala Rust, and one with something there. Well, the lore now has it that there were people here at one point. 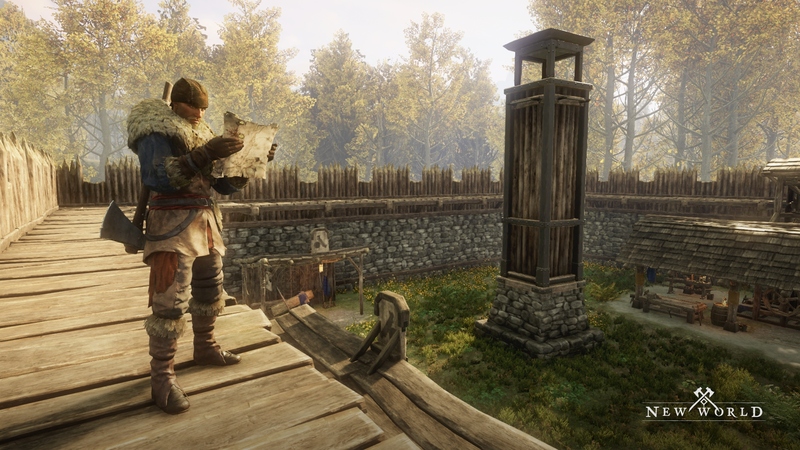 Many remains are still around, acting as points of interest, with some outposts being placed in the game as a neutral zone for players. These also offer an alternate place to respawn and act as the places you can build your new life from. For our guided element we were given a host of high-end gear and characters that were significantly buffed. Once we’d picked up the gear and shown how to put in the skill points, we set off to war. On the skill points, I went for something essentially useless, camping, though it’ll be invaluable for my solo style when I get around to playing the game fully. There is also a treasure hunter chain that I sorely want to try out, it just isn’t implemented yet. The previous time I tried out New World the battle we were guided through was a small one, roughly eight vs eight people. Here, you’re looking at a full raid contingency in other MMO’s. There must have been twenty-four of us attacking a fort. Add onto that the people – real people – defending it. Personally, I was incredibly effective in the siege of Fort Whatsitcalled. I stood outside the gate like a soldier of legend, then I cheered and taunted the enemy. One of them waved at me. Then I got shot. 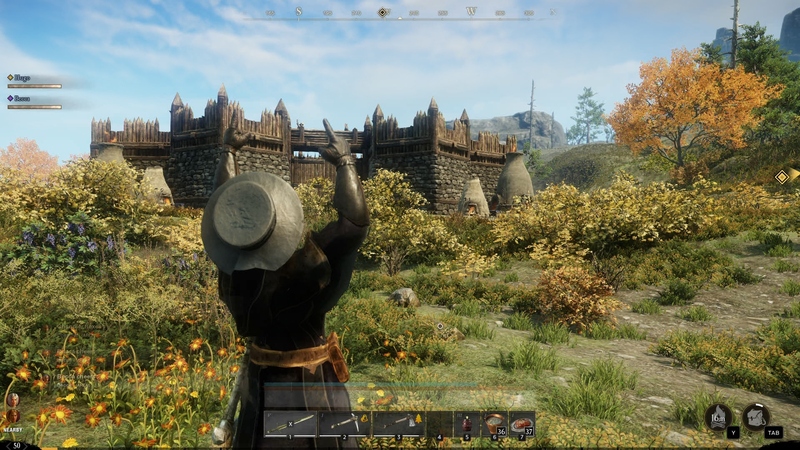 With a current total of fifty people per company, allowing battles of 50 vs 50 players – naturally, with the possibility of neutral players, mercenaries and anybody else who gets involved for whatever reason, the scale of combat could be incredible. Particularly so when there’s the potential of a fort making Helm’s Deep look rather modest. Granted, that could be an exaggeration, though there is a high potential for increasing the size and scale. The one I sieged here was three times larger than the one at Gamescom. Naturally, once my distraction worked and the others on my team planted the explosive barrels, blowing up and breaching the south end of the base, I waded in and single-handedly took out all opposition. Or I died, you be the judge. This is another area I’m truly impressed with New World even at this stage, combat. The combat is incredibly engaging for an MMO, with a fairly lenient stamina bar dictating how quick you can attack, dodge, etc. You actually have to choose your attack and hit your enemy, rather than the general point and click style normally found. There’s dodging, rolling, jump attacks and more at your disposal. That’s if you want to wade in with melee, pick up a bow and arrows, or a rifle with rounds. Maybe, just maybe, you’ll be one who learns the mystic arts and can cast spells. You’ll need the correct weapon and abilities to be able to cast anything. Best of all, hitboxes are perfect from what I could tell, with no latency issues. Granted, this was a limited and pre-planned test, though it used the current game build. You’ll also find yourself fighting NPC enemies, which can range from wolves and bears to ghouls, zombies and the corrupted former inhabitants of Eternum. This is something I got to explore best following the guided tour and I made every second count. I explored right to the top of the map with the aid of another player and, eventually, cheats enabled by the developer just for this session. In the actual alpha build which people are playing right now, all developer tools are disabled. No cheating allowed! Where I went, you can’t actually see in the screenshot above. The travels were troublesome. Me and Hugo (somebody not actually called Hugo, though I am considering changing my name to Becca to match my character) valiantly fought side by side against some incredibly difficult opponents. We laughed, we cried, we died – a lot. Most of all, it allowed us to explore exactly how PVE is fleshing out in New World, with Teamwork for some areas being downright essential. Exploring the world is something that I already know I’m most looking forward to. As I said earlier, one thing that instantly grabbed my attention was the Treasure Hunter skill line. Working into this is that one of the first things I did is find a hidden cave with a treasure chest inside it. Two developers – granted, not ones who worked on the map – were quite surprised as it was something they had never seen before. Indiana Chris right here, y’see. Most important is the fact that the world is so interactive, with every tree and rock being harvestable, a wealth of herbs to interact with and pick up, not to mention the varied biomes these all occur in. I got to see a lovely beach, some grasslands, hills, a marsh and even more. My exploring let me see everything from decrepit ruins infested with monsters and the further effects from that to what could essentially be a PVE raid, a corrupted city to the north of the world. 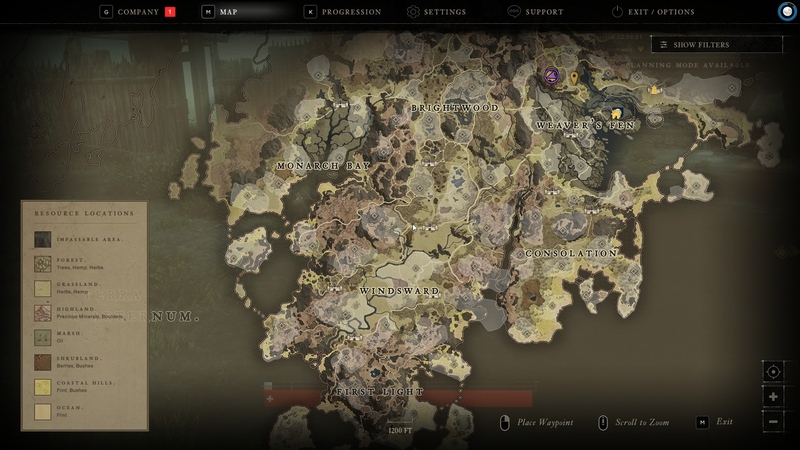 One thing that is missing, due to the simple fact that New World is a sandbox, are traditional quests. It’s all freeform, with you choosing what to do. How much I’ll enjoy this I’m unsure, because sometimes actually having something to do is more important than having your own choice. Amazon is very focused on emergent storytelling, which is fantastic when the world is full enough for those stories, random encounters with other people and territory-changing wars to occur. Until that time, I can imagine New World to feel a little empty. As empty as it could feel when there aren’t many people around, the plans in place should completely negate that concern. With the potential of up to 10,000 players per world, a myriad of territories for companies to fight and feud over and the fact that players can’t be everything, requiring at least a reasonable level of co-operation will make communicating with humans essential. Seeing what I’ve seen of New World so far, I can honestly say that this is the first MMO I’ve actually been excited for since the launch of Elder Scrolls Online. Granted, that didn’t exactly meet up to those promises until Tamriel Unlimited hit so it may not be the best comparison. The progress Amazon has made is huge. 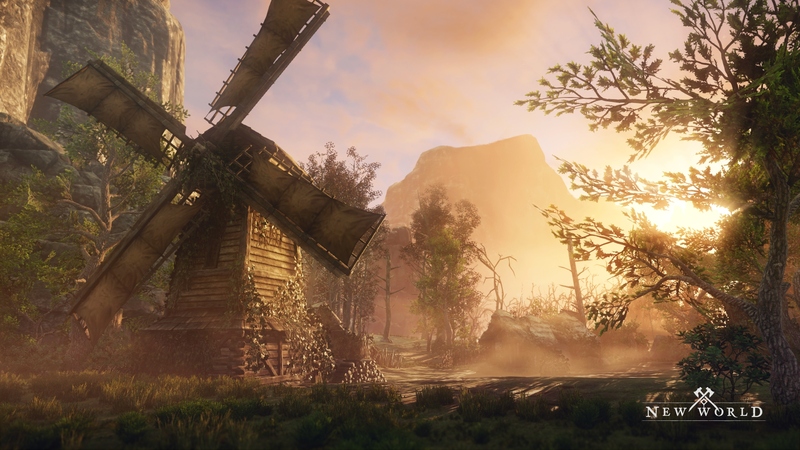 New World is genuinely something that looks like it could keep me, and other people actually engaged and it looks like it will offer more player ownership and accountability than any other game before it. So, yeah, I’m looking forward to New World.